Last month we were a proud sponsor of the Minneapolis THRIVE Fashion House Event – a spring fashion show put on to feature local emerging designers with charitable proceeds going to Somaly Mam Foundation to fight against human trafficking. 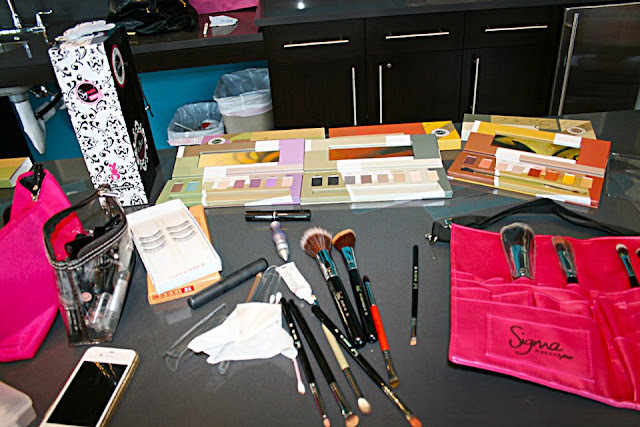 Sigma provided the makeup used on the models, as well as sponsored a giveaway for the event which included all of the makeup used in the show – the Bare, Dare, Flare eye shadow palettes and the best-selling Mr. Bunny Kit! The featured designers were Ayah Amed, Moni Alexander, Sai Chang, Winnie Patterson, Raquel Redmond and Christy Singvong. The looks were provided by Primp Boutique, Len, Desigual, DSW Shoes and Inspire By Gaochen & Nomala. The show was a success and we were glad to have been a part of it! Congratulations to the-sassafras for designing some of the pieces, looked like an awesome show. The perfect girl with the perfect look! !